Yes, well. 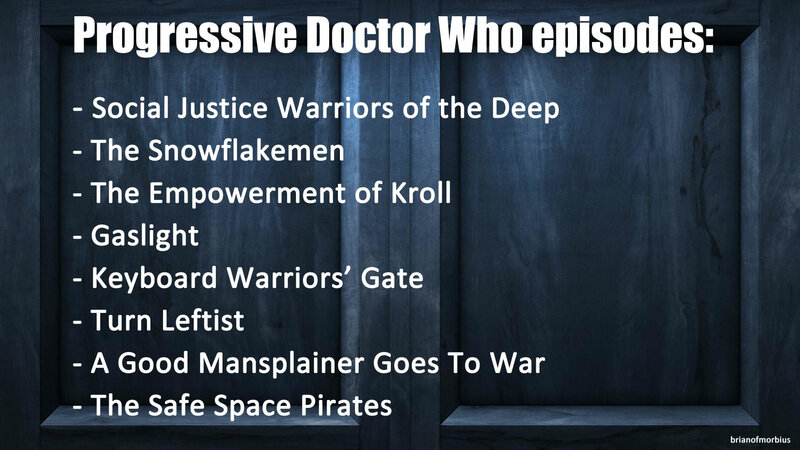 There were five episodes in this initial set, and only two of them were any good, so I am always going to look back at this period of Who with disdain. What comes across in this is a sense of scale: five stories, told grandly (although there is nothing – nothing – from ‘The Power of Three’). 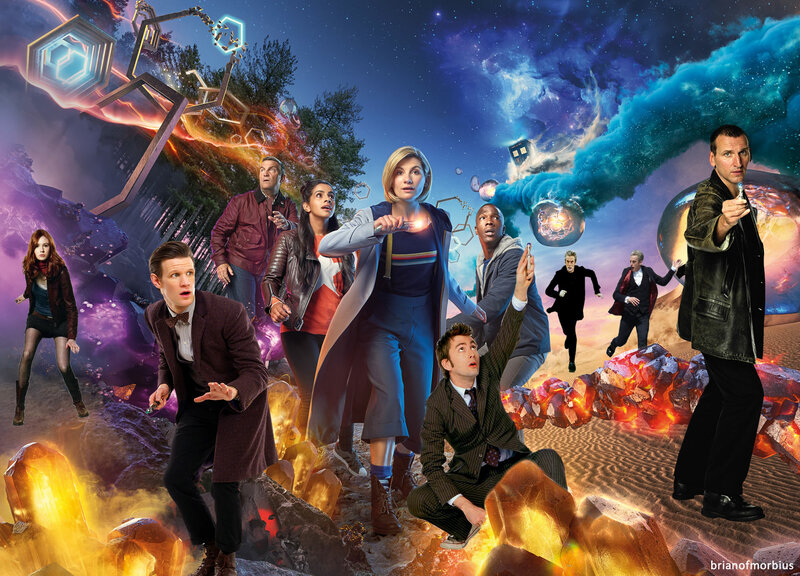 Amy is at her most irritating (her piggybacking of the Doctor’s catchphrase is almost as awkward as Tony Blair quoting Baddiel and Skinner) while Rory just sort of stands there, as per usual. 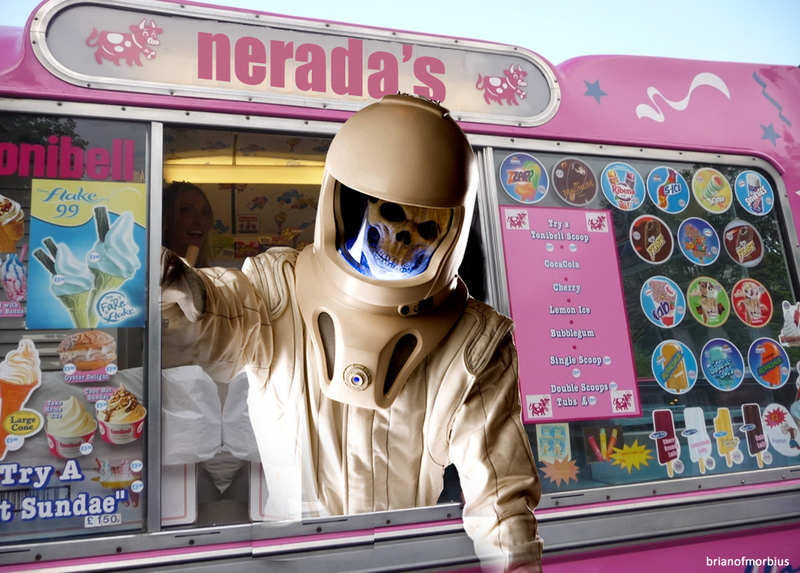 The location work is impressive, even though the writing wasn’t: this series marks the Doctor’s ‘difficult, teenage phase’, the triceratops joyrides awkwardly juxtaposed with the moral angst he experiences when debating whether or not to turn Kahler Jex over to the Cyborg. Oh look, now he’s in his bedroom, and I think he’s smoking weed. I’m not angry, Doctor. I’m just disappointed. It’s a mystery: Ooh, is Amy really dead? 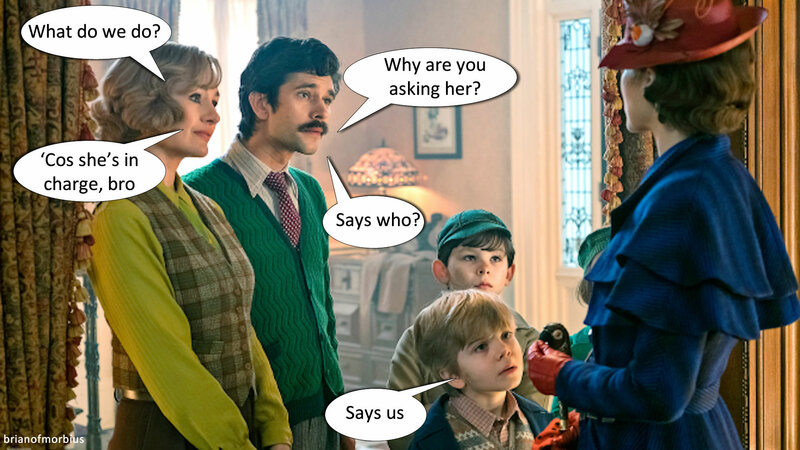 It’s a mystery: Clara, of course. 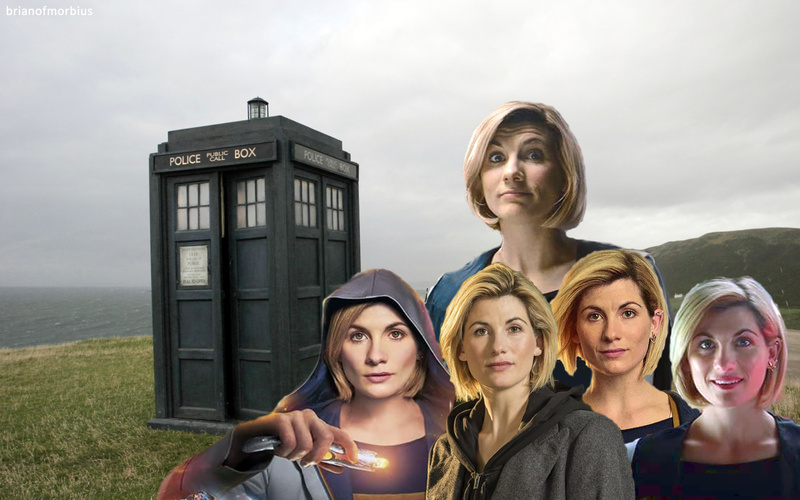 It’s a mystery: Just WHO IS THE DOCTOR NOW? And do we really care? Holy mackerel, TURN IT DOWN, MURRAY! IT’S TOO LOUD! THERE ARE PEOPLE TRYING TO SLEEP! We’ve now reached the stage where the trailers clearly have boxes to tick, and are arranged in order to make this happen. Moody lighting? Check. Dalek close-up? You betcha. Obvious mystery that’s going to have everyone talking past saturation point? Oh, yes yes and thrice yes. There are numerous things that could be monsters. The Doctor does look chirpier, mostly thanks to the hair, which is emulating Pertwee’s in the same way his clothes did last series. The rest of it seems to be a maelstrom of unconnected ambiguities that are about nothing at all, designed to keep the Tumblr feeds ticking over until September. Am I confused because this is the only trailer I’m not able to view with the benefit of hindsight, or is this stuff actively getting worse? Patrick Troughton’s trousers make a cameo, but about the only really appealing moment in this jumbled mess is the moment when the ‘lightened’ Doctor smiles at the camera, and shrugs, because all of a sudden we’re right back where we started. 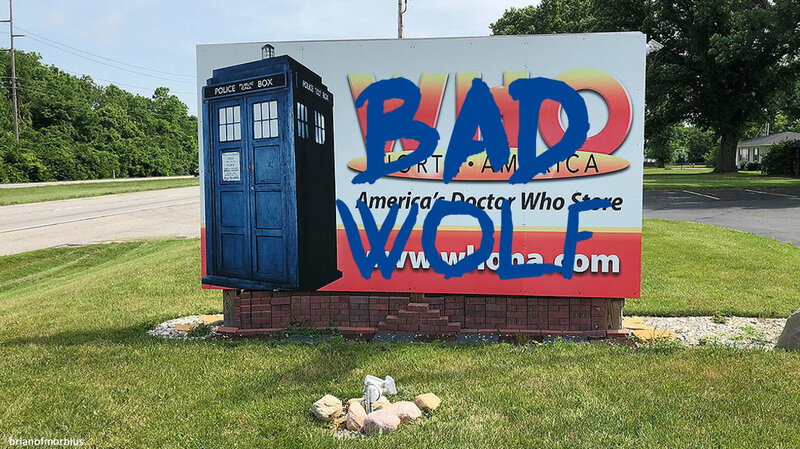 The Doctor Runs: Maybe. He sort of canters a bit. Semi-identifiable monster count: 10? 11? I lost count, and I don’t care any more. So what have we learned from all this? Well, I’ve learned I need to stop watching trailers, at least for a while. I’ve learned there’s more than one way to skin a cat, or re-invent the wheel, or flog a dead horse. 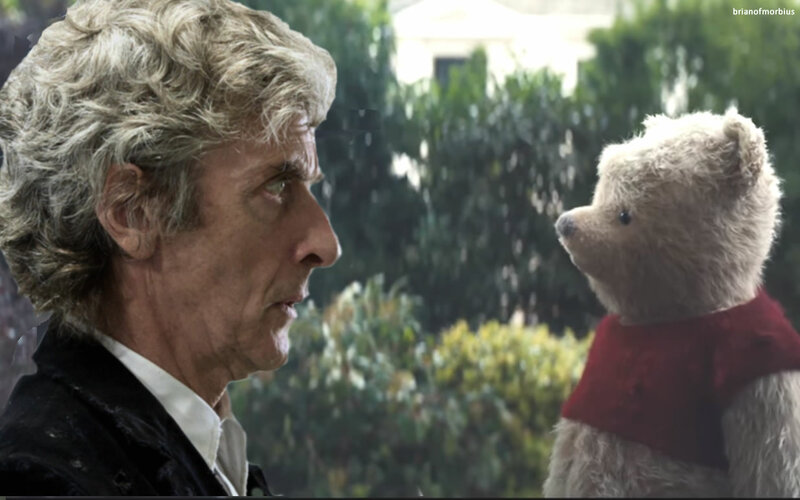 I’ve learned that Doctor Who trailers often say more about the tone of the show they’re portraying than perhaps they intend. I’ve learned that Murray Gold really needs to rein it in, although that’s hardly headline news. 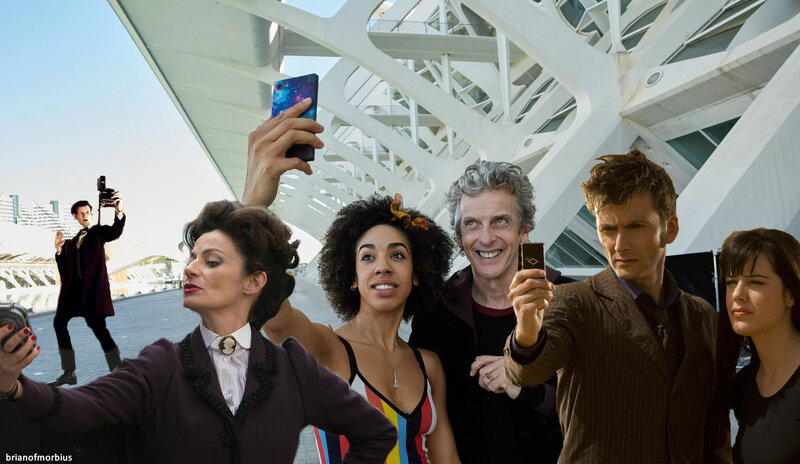 But perhaps most of all I’ve learned that I still want to come with the Doctor, particularly if it isn’t safe – because however it’s presented it always is and always will be the trip of a lifetime. 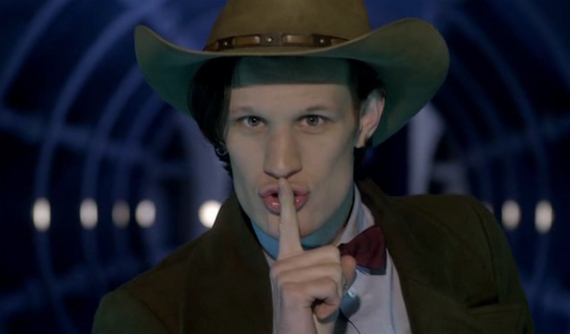 Unless you’ve been under a rock, you’ll have seen the series nine trailer. I’m not even going to link to it, because it’s all over the web, usually followed by tedious “permission to squee!” comments. I am at best ambivalent, for reasons we’ll get to. 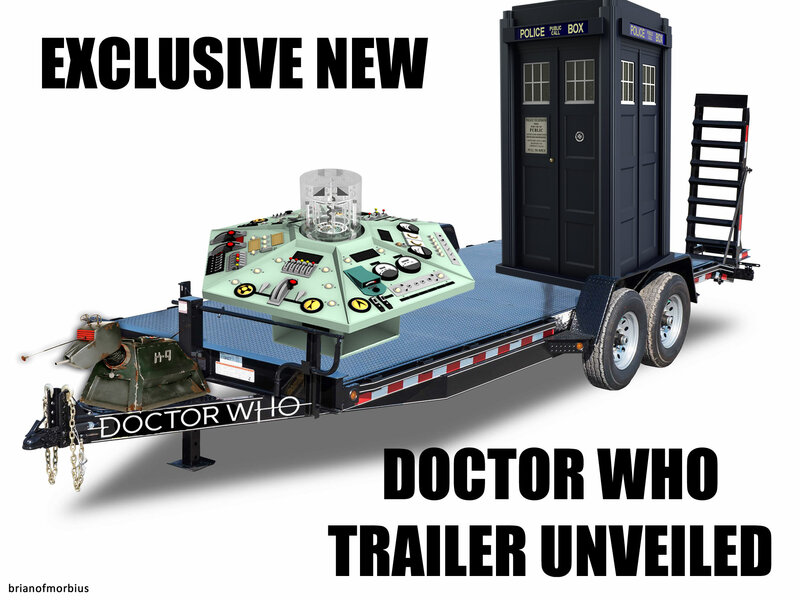 Suffice to say Doctor Who trailers stopped being interesting when they became formulaic. It’s like The X-Factor. Once you can see what’s going on and how they do it, much of the appeal is lost. But perhaps that’s trailers in general. Just the other day I watched a four minute preview of the Batman Vs. Superman film Warner have slated for 2016, and rarely have I been so bored – it’s a trailer I again choose not to link to, largely for fear of inducing narcolepsy. Perhaps it’s the relentless boom-boom-boom of shadowy figures, cracking pavements and ominous quotes: different films packaged in exactly the same way each time. Perhaps I just have superhero fatigue. Have I ever experienced films in the cinema that were significantly worse than their trailers suggested? You bet. The Avengers (we’re talking the 1998 adaptation of the 60s classic, not the Marvel thing) is an obvious example. The trailer made it look quite promising, given that it revealed nothing of the nonsensical plot – or lack thereof – nor the ridiculous dialogue and excruciating acting, particularly from Thurman. Part of the problem, for example, was the scene in which Peel and Steed walk across the ocean towards August De Wynter’s base in what appear to be giant hamster balls – an impressive moment in the trailer, rendered inconsequentially ridiculous in the film when it is given absolutely no explanation. The trailer’s job is not to explain but to pique your curiosity: but if that’s as far as explanations go, you’re inevitably going to be disappointed. Alien: Resurrection (coincidentally the same year as The Avengers) was another one. The trailer – or at least the one I saw – avoids most of the mistakes the film made by showing us very little of the alien (perhaps the biggest criticism of Alien: Resurrection is that we see Giger’s ghastly creatures far too much, and far too often). It also doesn’t allow Winona Ryder to speak. Curiously my biggest gripe with the film stems from a single moment, in which a doomed mercenary whispers “Who are you?” to the sinister Ripley clone, who’s just informed him that he’s got a monster growing inside him. In the trailer, her response is a grin, which would have been the perfect way to end the scene – and it was only when I finally saw the thing that I discovered they’d had her say “I’m the monster’s mommy”. Alien always worked best when it was holding back, something the writers would have done well to remember. But I went back through the ten years of Doctor Who trailers that the BBC have used since the show’s 2005 revival, and there are patterns. More than this, there’s development. I noticed a marked progression, and it is for this reason that we compartmentalise them into three separate posts, showing the shift in styles that gradually darkens the tone, from warmth down to sub-zero. Today, we’ll look at the early years – because it was during those first three series that the Doctor chose to break the fourth wall. Looking back on it now, it’s amazing to think how radical this was: the Ninth Doctor actively extending his invitation to Rose to the audience at large, in precisely the same words. The goal of this is primarily to hook an unsuspecting public, many of whom expected the show to fail – and the effect is rather like a telethon, in the way that its central character broke with the previously established convention of keeping the focus confined entirely within the set. * Amazingly, it works. The delay on Eccleston’s monologue is borderline irritating, but it sort of emphasises the time travel theme. * ‘The Daleks’ Master Plan’ notwithstanding, of course. Meh. This seems to sum up many of the worst things about the Tenth-Rose series: the two of them against the world, armed only with a mortgage. It doesn’t help that only one of the first five episodes of series 2 was actually any good, and that’s the only one conspicuous in its absence. Tennant is sleeping on the floor of the TARDIS – the implication, surely, is post-regeneration – before inviting the audience along in much the same way Eccleston did, with twice the panache and none of the sincerity. Piper has one line, and even then she comes across as irritating, which more or less sets the tone for the series at large. Some of the in-TARDIS visual effects are borderline 90s pop video, and I suppose in the grand scheme of things that isn’t too far out. 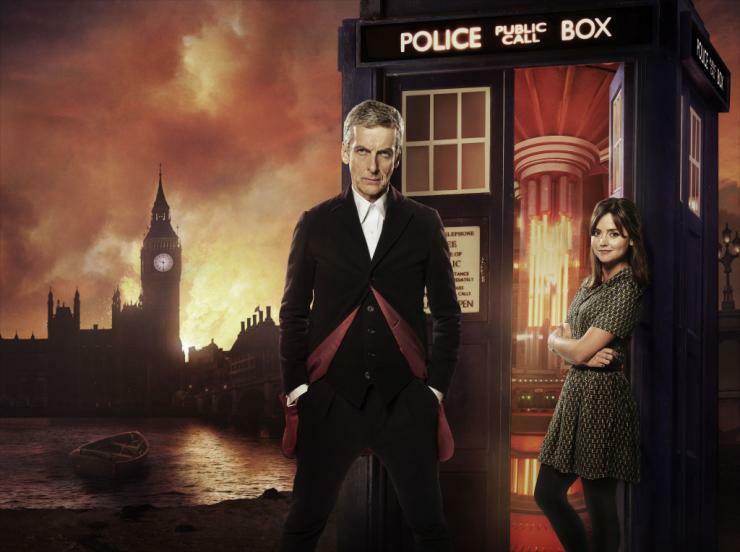 Coming soon: the girl who waited, the perils of travelling alone, and Billie Piper’s teeth.